Beautiful projects! Love the mixed media one! Love, love, love the canvas. I've been wanting to try mixed media and yours is very inspiring! Everything is gorgeous!! Loving your canvas especially - great work! All so beautiful but I think I like your Live Simply card the best. You are right, those colours look super together. Great mixed media piece! Love your flowers and background. Love all your projects, but your mixed media project is a stunner. Now I have to try those flowers as well. Beautiful projects, Marsha. 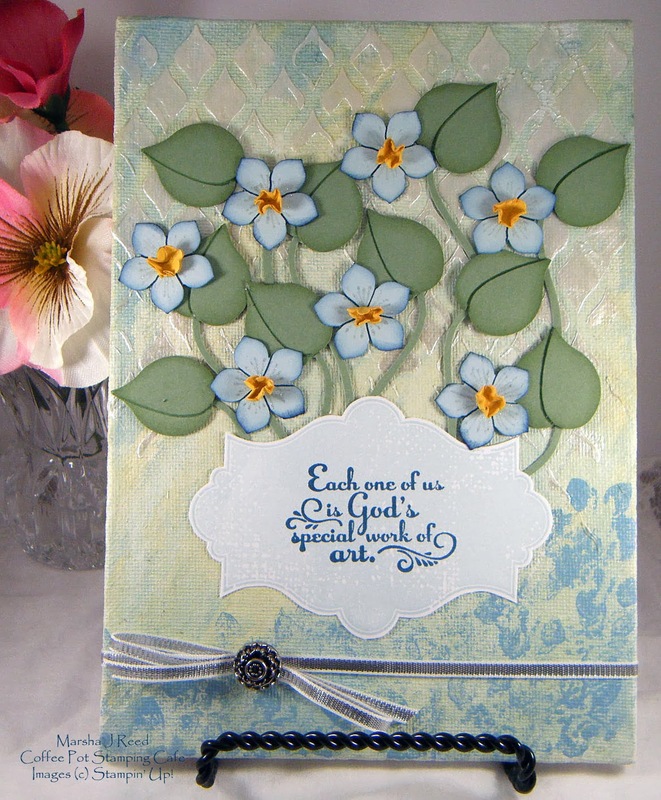 The cards are lovely - and the mixed media is a "wow," for sure! I love the violets on your card but all of your projects are wondwrful. 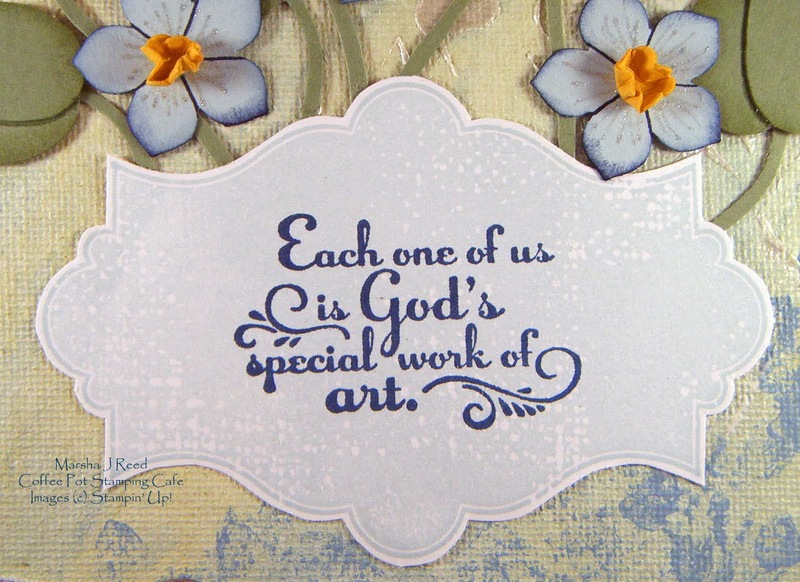 Hi Marsha, thank you for being part of the blog hop. As usual, I love your projects, especially that wonderful mixed media creation. I really am going to have to stop procrastinating about doing one of my own. I love everything about that canvas creation---have to ask, however: what is Pearl Modelling Cream? 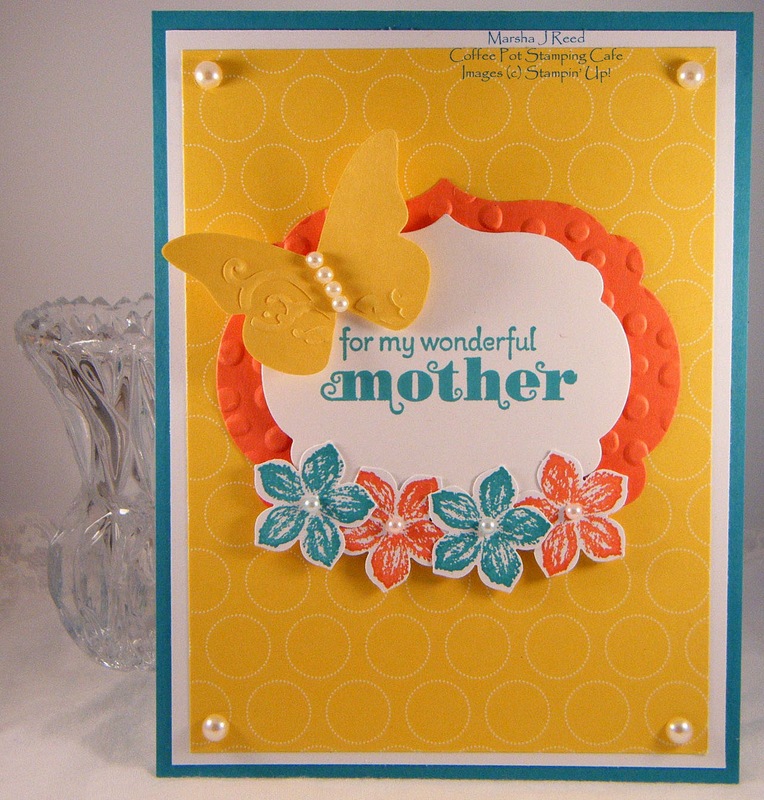 What a bright and cheery Mother's Day card you've made! The Daffodil Delight and Calypso Coral are such happy colours together. I think the Decorative Dots are a perfect compliment to the Polka Dot Parade DSP. That Sweet Sorbet is terrific DSP, isn't it? I love the subtlety and most of the designs. 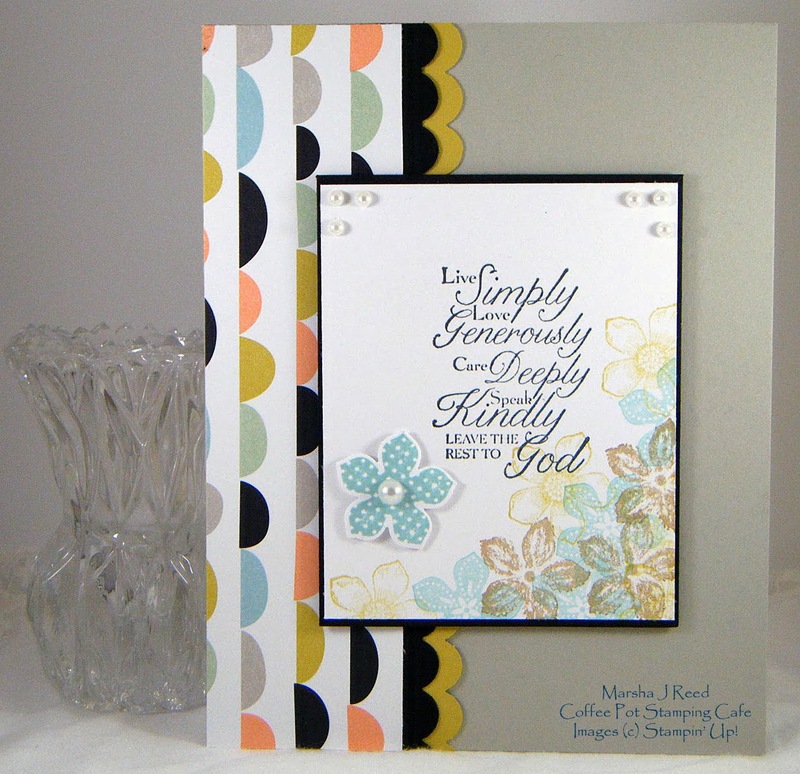 The strip along the side of your card works beautifully with the scallops of Summer Starfruit and Basic Black. Thanks so much for sharing. Thanks for once again joining in the hop. Hugs - J.